Audiences as well as other artists have responded to Franz Schubert's music with passion, both during his time and in the past two centuries. Musicians, painters, writers, and filmmakers have all found a connection with him, integrating his music into their own works in ways that have given their works greater depth. 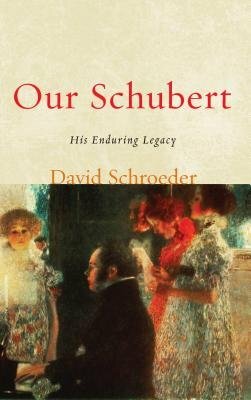 Our Schubert: His Enduring Legacy examines Schubert and the ways audiences and artists_both his contemporaries and their descendents_relate to him, analyzing some of the uses of Schubert's music and providing an intimate portrait of the man. Divided into two parts, part one focuses on Schubert's own time, discussing many aspects of Schubert's life and the effects they had on his compositions, such as the special importance and personal function Schubert's songs held for the composer and their effect on his other works; his association with his contemporaries; and the subtleties of his political activism. Part two considers Schubert's legacy, investigating the composer's ability to arouse passion in other artists through the intervening years to the present. This fascinating study includes several photos as well as a select bibliography and discography that include the works discussed.